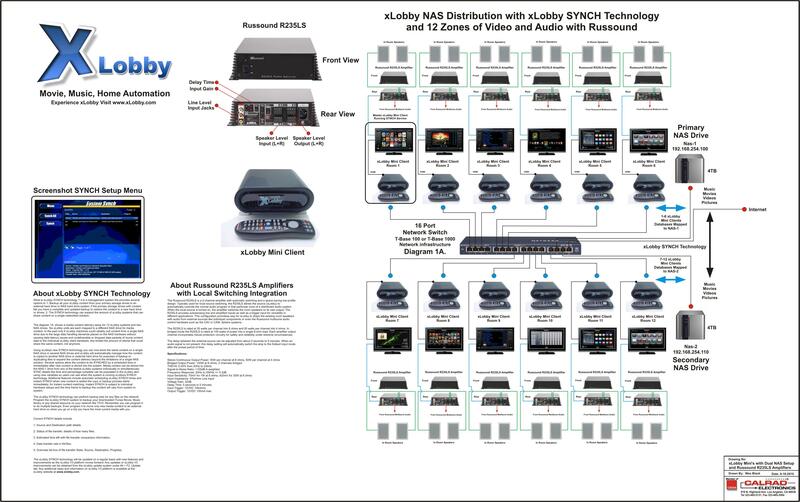 Tytpical interface diagram with Russound and xLobby for a seemless integration of multizone audio control and xLobby media management in 12 Locations. – 0000879: [setup] show database save progress after editing (stevenhanna6) – resolved. – 0000858: [animation] Can “goto” animated transitions be tweaked a bit so that they appear more “fluid”? (stevenhanna6) – resolved. – 0000886: [generic] f2 client option, mimic mode default to media player (stevenhanna6) – resolved. – 0000883: [generic] slideshow can now use “playlist” as the category, for playlist slideshows (stevenhanna6) – resolved. – 0000881: [skin editor] sort variables list box (stevenhanna6) – resolved. – 0000885: [generic] using randomcover can cause a crash when importing from f2 sometimes (stevenhanna6) – resolved. – 0000875: [setup] screen saver minute timer added to “display” in setup (stevenhanna6) – resolved. – 0000874: [animation] category text scrolls if too large (stevenhanna6) – resolved. – 0000880: [skin editor] select current screen in screens list when opening skin editor (stevenhanna6) – resolved. – 0000873: [client/server] Disable GUI causes Xlobby crash at start up (stevenhanna6) – resolved. – 0000878: [generic] “latest” view added to music area, requires delete and reimport (stevenhanna6) – resolved. – 0000876: [generic] resize event editor by dragging bottom right corner (stevenhanna6) – resolved. – 0000882: [generic] “slideshow shuffle” command added, randomized slideshows (stevenhanna6) – resolved. – 0000877: [skin editor] groups now have a border around them to show their position (stevenhanna6) – resolved. – 0000891: [skin editor] only nav items can be selected when overriding navigation (stevenhanna6) – resolved. – 0000889: [generic] auto back up system, can be disabled in f2 (stevenhanna6) – resolved. – 0000888: [generic] Spider not working (stevenhanna6) – resolved. – 0000887: [skin editor] “spider save cover”, saves just the cover, not touching meta information (stevenhanna6) – resolved. – 0000890: [setup] network disconnects now posted to log (stevenhanna6) – resolved. – 0000892: [setup] “Options”, “Music ignore The”, ie “the beatles”, will become “beatles” (stevenhanna6) – resolved. Screenshot xLobby Setup Menu, Options tab with new Music Ignore ” The” check box. Screenshot xLobby Setup Menu, Display tab with new Screensaver feature that will cause the xLobby screen to go Black after a specified time of inactivity. 1. Mantis (0000878) “Latest” view added to music area, requires delete and reimport. Shows the latest content added to the music library. 2. Mantis (0000877) Groups now have a border around them to show their position. 3. Mantis (0000876) Resize event editor by dragging bottom right corner. 4. Mantis (0000874) Category text scrolls if text description is to large. 6. Mantis (0000875) Screen saver minute timer added to “display” in setup. Screeshot: xLobby Setup menu, Display tab with Screensaver option. This feature will cause the xLobby screen to go black after a specified time of no activity. When activity is present the screensaver will stop and the xLobby menu will appear again. 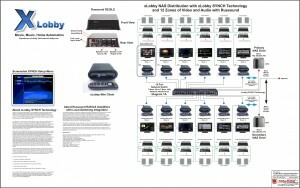 You are currently browsing the xlobby news blog archives for August, 2010.